As an aide to public high school students, the Municipal Government of Mexico through the initiative of the Hon. Teddy C. Tumang, Municipal Mayor together with the Hon. Jonathan R. Pangan, Municipal Vice-Mayor and Sangguniang Bayan Members, students are given educational assistance amounting to Php 800.00 each. 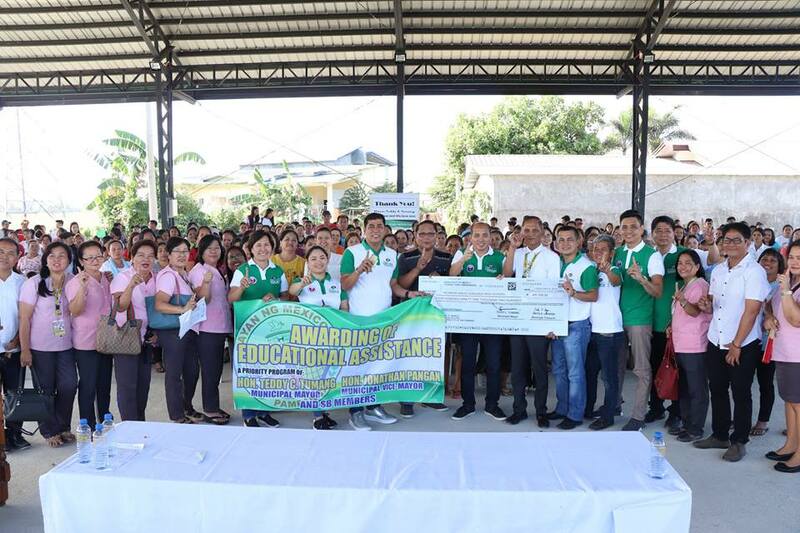 For this year, Nicanor David Vergara High School in Barangay Anao, this Municipality with 614 student grantees received Php 491, 200.00. The 1,138 students of Malino National High School of Barangay San Jose, this Municipaotu received a total assistance of Php 910,000.00. Mexico National High School with 1,054 students were awarded with Php 843,200.00 in total. A total of Php 511,200.00 was given to 639 students of Gerry H. Rodriguez High School in Barangay Divisoria. With the most number of students, Don Jesus Gonzales High School received Php 2, 728,000.00 for its 3,410 students. The 2,087 students of San Juan High School were given a total of Php 1,669,600.00. Meanwhile, Php 1,044,800 was awarded the to Diosdado Macapagal High School as a form of educational assistance to its 1,306 students. The total amount of Educational Assistance that was awarded and granted to students of 7 public High Schools of the town is amounting to Php 8,616,000.00. The said High School Educational Assistance is a priority project of the Municipal Government through the initiative of the Hon. Teddy C. Tumang together with the Sangguniang Bayan of Mexico.